The Grimm Brothers, Jakob and Wilhelm, are traveling by carriage to deliver a collection of their fairy tales to a neighboring king. When the reach the edge of the forest, their driver refuses to continue into the haunted woods. The brothers buy the carriage and venture on. As the brothers enter the forest, Wilhelm sees their fairy tales come to life as Snow White and the Seven Dwarfs pass them by and as Little Red Ridding Hood asks where her grandmother's house is. Jakob assures him that he is imagining things and that "Life Is Not a Fairy Tale." 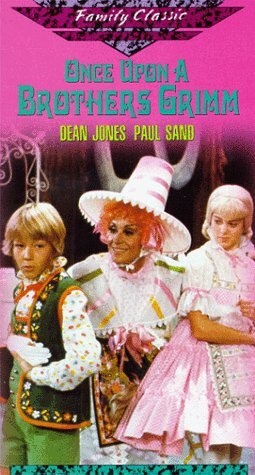 The brothers get lost several times along the way and stumble upon such classics as "The Six Swans," "Cinderella," "The Frog Prince," "The Twelve Dancing Princesses," "Dumling and the Golden Goose," "The Musicians of Bremen," "Rumpelstiltskin," and a gorgeous "Sleeping Beauty" ballet.